1 NASA astronaut Scott Kelly took a series of seventeen photographs from the International Space Station during a single flyover of Australia on Oct. 12-13, 2015. 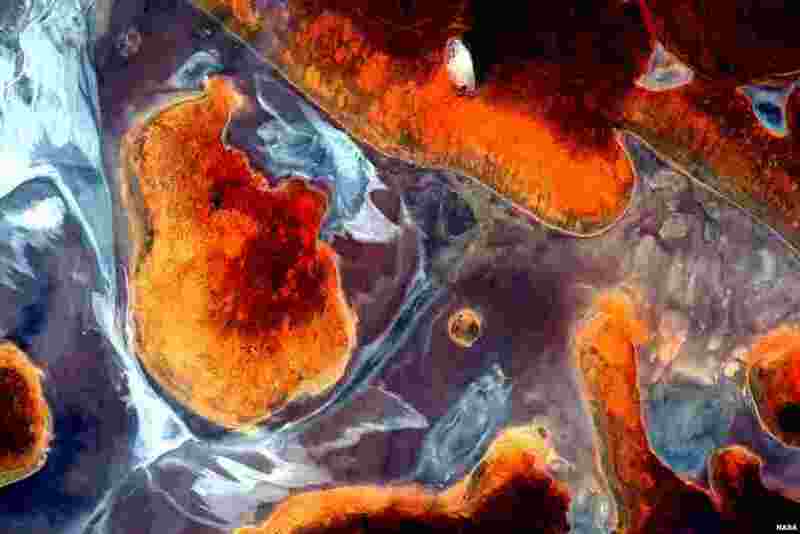 This first photo of the series was posted with the caption, "#EarthArt in one pass the #Australian continent. 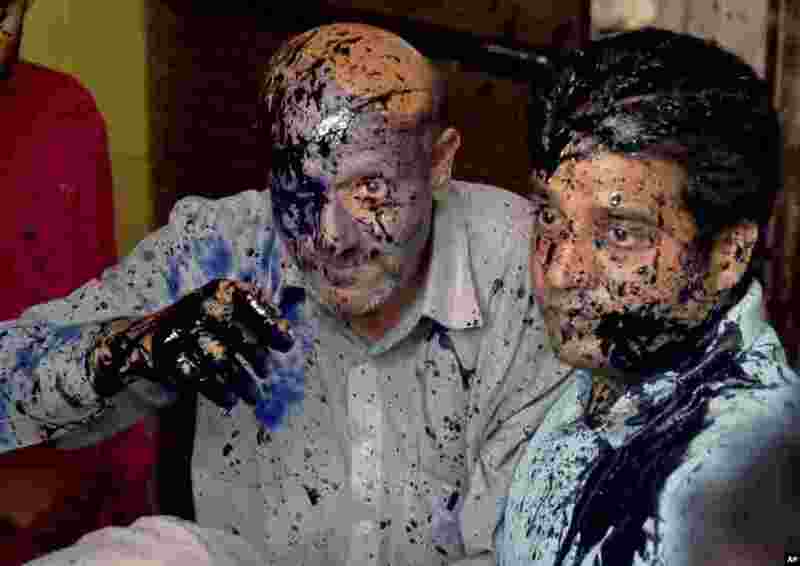 2 Jammu and Kashmir lawmaker Abdul Rashid Sheikh, left, reacts after suspected activists of a right-wing organization threw ink on his face at a press conference in New Delhi, India. According to local reports Rashid had been protesting against the death of a Muslim teenager attacked by a Hindu mob over rumors of cows being slaughtered. 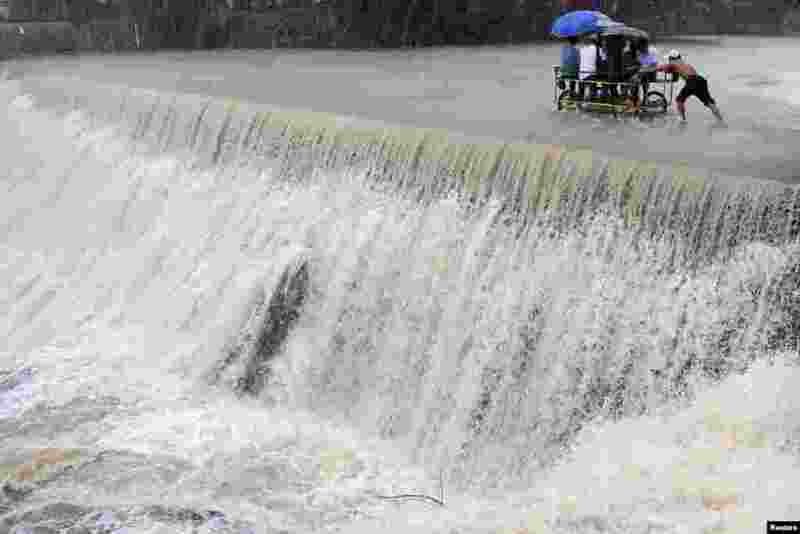 3 Residents cross a swelling dam due to rising waters brought about by Typhoon Koppu, in Las Pinas city, metro Manila. Typhoon Koppu swept across the northern Philippines killing at least nine people as trees, power lines and walls were toppled and flood waters spread far from riverbeds, but tens of thousands of people were evacuated in time. 4 North Korean leader Kim Jong Un (3rd R) and wife Ri Sol Ju (4th L) enjoy an art performance given by the Chongbong Band to mark the 70th anniversary of the founding of the Workers' Party of Korea (WPK) in this undated photo released by North Korea's Korea Central News Agency (KCNA) in Pyongyang. 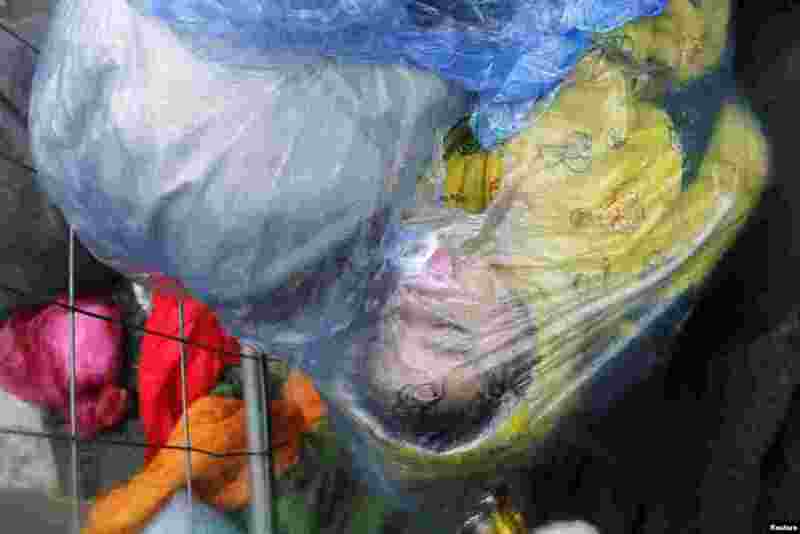 5 A migrant's child sleeps as it is seen in a rain cover at the border crossing from Slovenia in Trnovec, Croatia October 19, 2015. 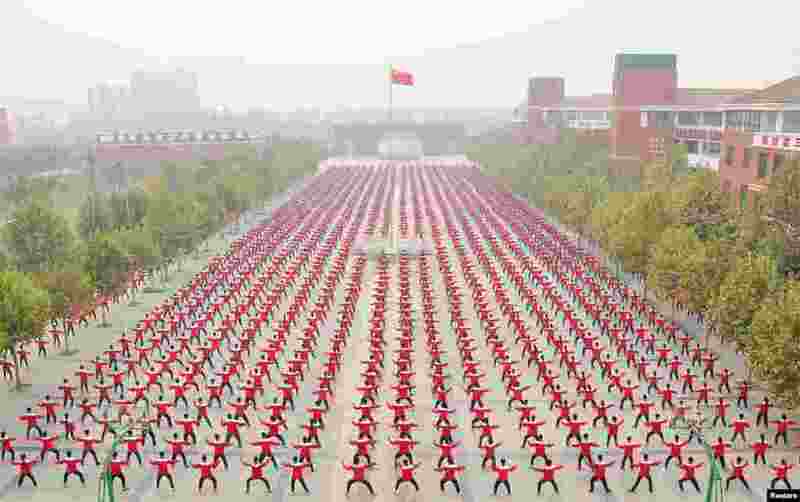 6 A Chinese national flag flies as students practice Taichi on a playground of a high school, during a Guinness World Record attempt of the largest martial arts display, on a hazy day in Jiaozuo, Henan province, China, October 18, 2015. 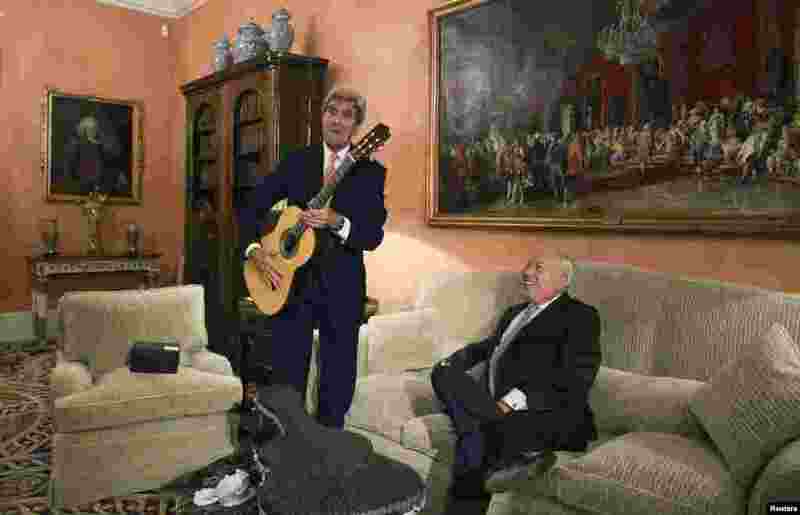 7 U.S. Secretary of State John Kerry (L) poses with a guitar, given as a present by Spanish Foreign Minister Jose Manuel Garcia-Margallo, during a meeting at the Foreign Ministry in Madrid, Oct. 18, 2015. 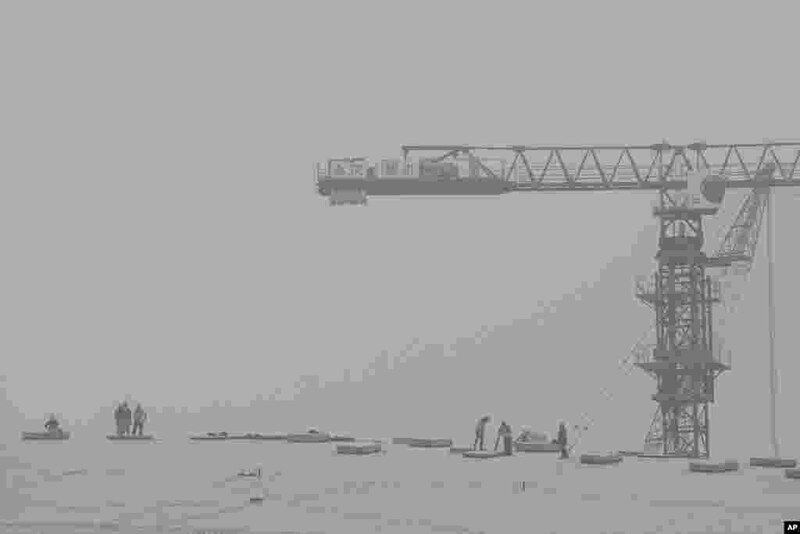 8 Construction workers are seen working against a hazy skyline in Kuala Lumpur, Malaysia. 9 Two baby orangutans play with each other at the wildlife department in Kuala Lumpur, Malayasia. The Malaysian wildlife department seized two baby Sumatran orangutans in July, found in duffel bags, from traffickers who were attempting to sell them to buyers in Malaysia. 10 Eddie Murphy, his partner Paige Butcher (L) and members of his family applaud as he takes his seat for the Mark Twain prize for Humor honoring him at the Kennedy Center in Washington, Oct. 18, 2015. 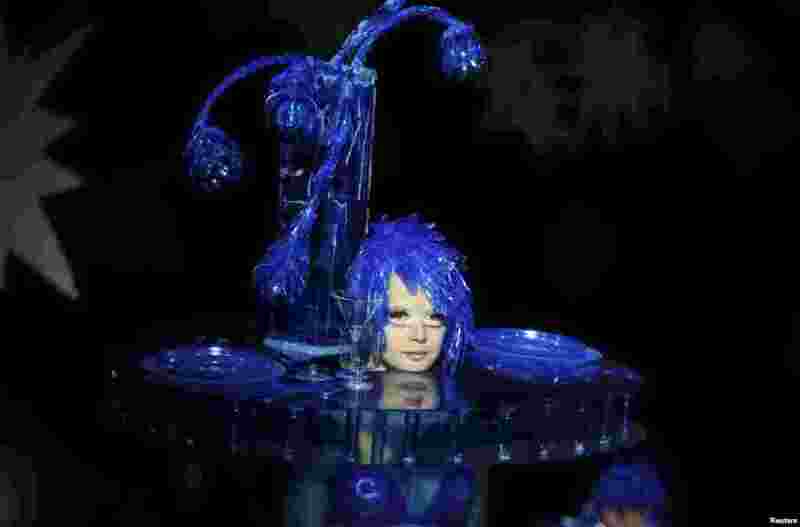 11 A model presents a creation by designer Oleksiy Zalevskiy of Ukraine at Ukrainian Fashion Week in Kyiv, Oct. 18, 2015. 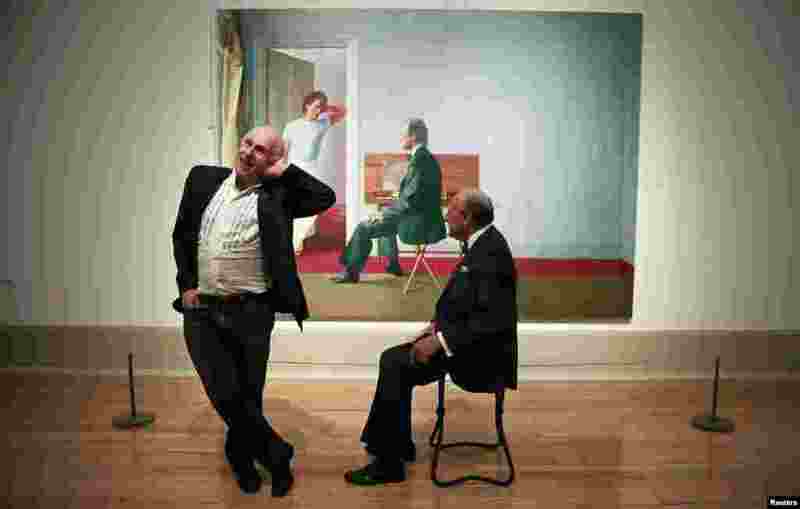 12 Ballet dancer Wayne Sleep (L) and book dealer George Lawson pose in front of "George Lawson and Wayne Sleep" by David Hockney at Tate Britain in London, Britain.